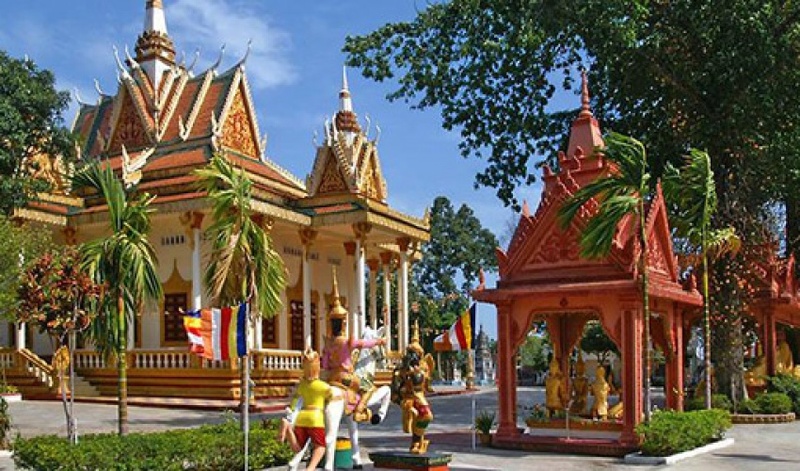 Wat Leu, Sihanoukville is one of the 5 main wats in the picturesque port city of Sihanoukville. 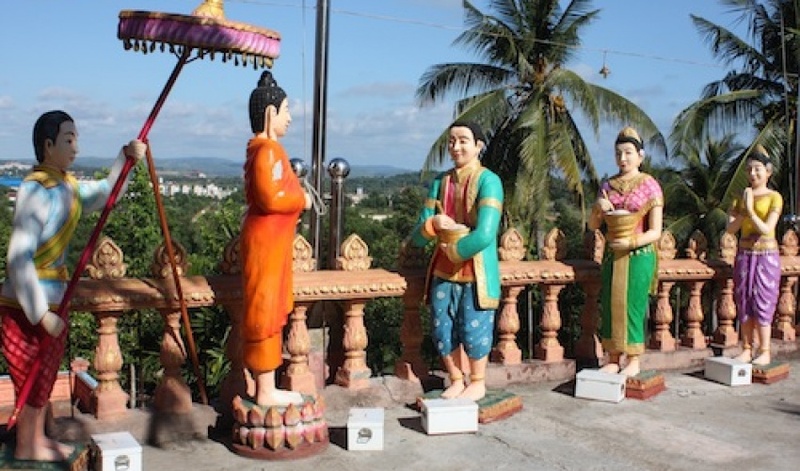 These Wats, or Buddhist temples, are scattered around Sihanoukville in Cambodia. 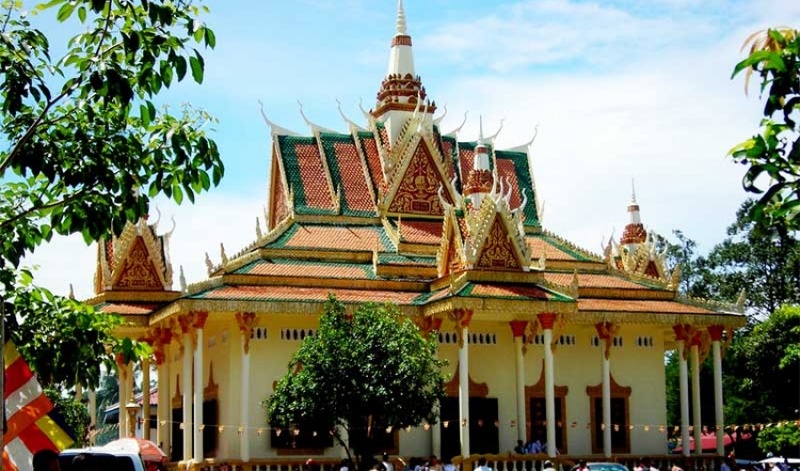 Although Sihanoukville is an important port city and is known for its natural treasures but the wats made it one of the most Tourists Attractions in Sihanoukville. 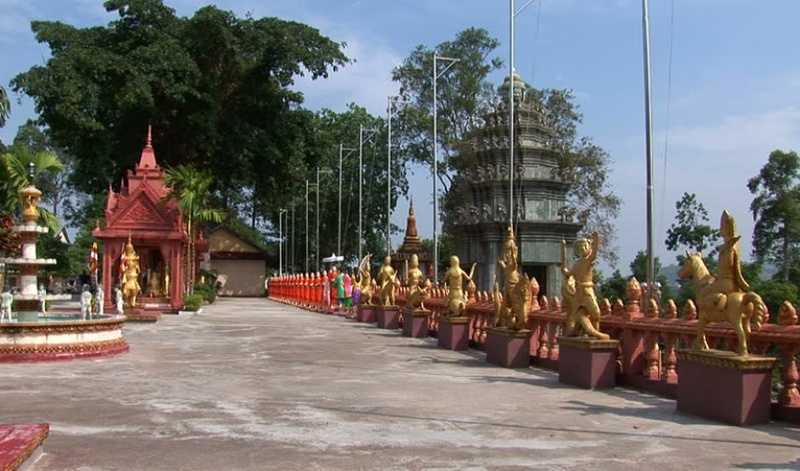 Wat Leu, Sihanoukville located on the Sihanoukville Mountain is only 6 kilometers from the provincial town. Sihanoukville, also known as Kampong Som, is about a 3 hour bus ride towards south west from the capital Phnom Penh. You can also get there by boat from Koh Kong. 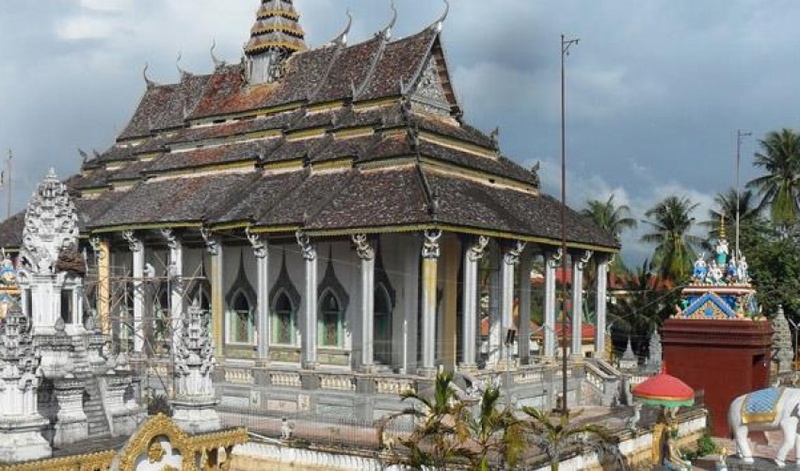 Because of its hilltop location Wat Leu, is commonly known as "Upper Wat". 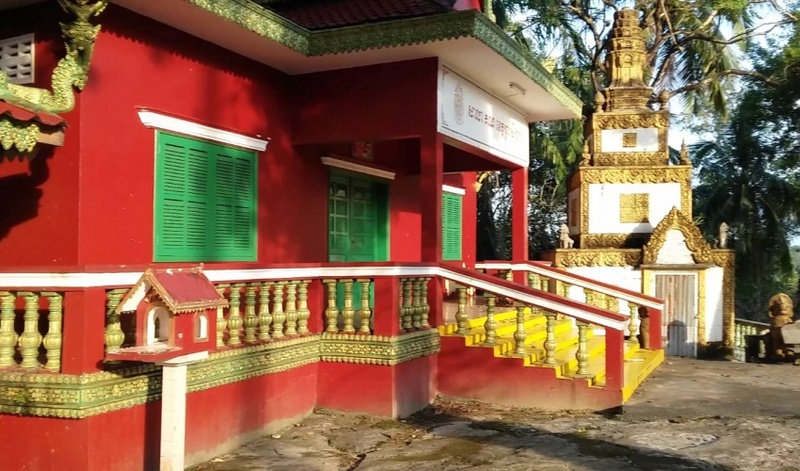 Wat Leu is surrounded by a beautifully landscaped forest. 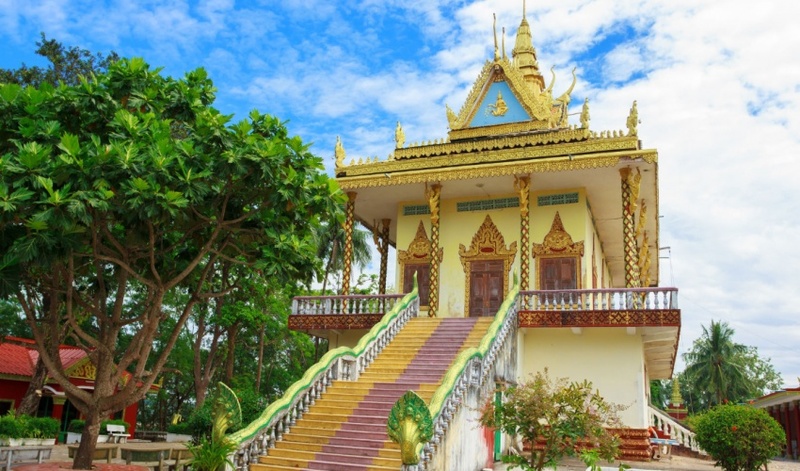 The hilltop Wat Leu in Sihanoukvill offers wonderful views of the town and islands nearby. 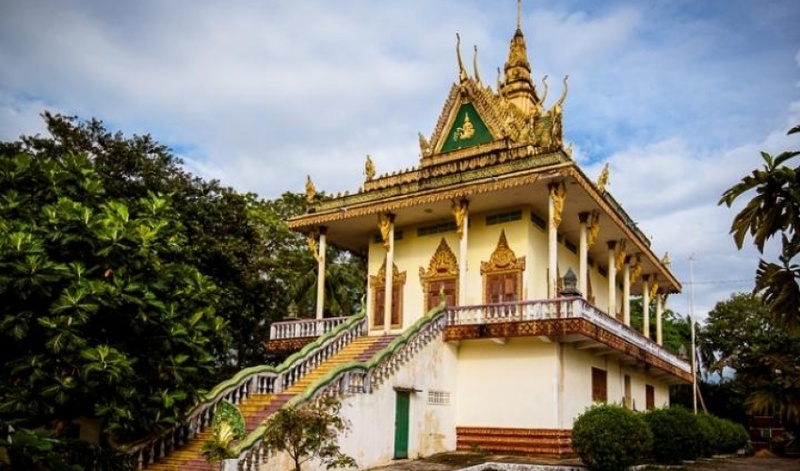 Wat Leu, Sihanoukville is not only a religious and historic site it is also significant from the architectural point of view. Sihanoukville Wat Leu is surrounded by a high stone wall. There is a three headed white elephant beautifully carved out of the stone wall with three statues of Buddha on the three heads of the elephant. 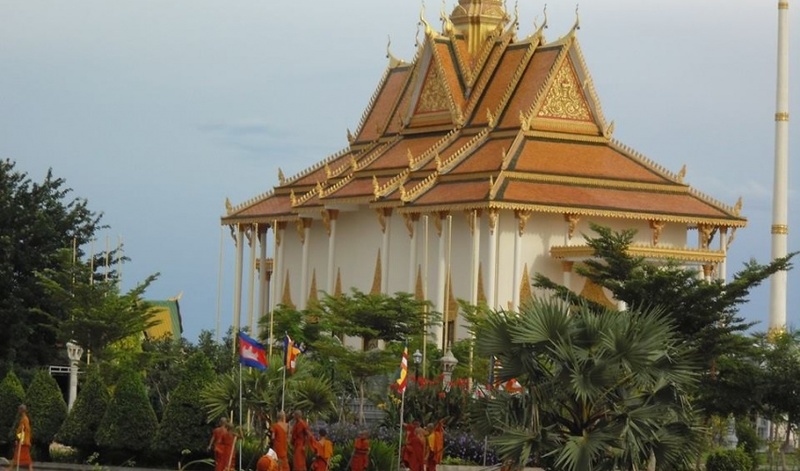 The golden colored temple with thatched roofs and traditional design resembles the pagodas. In front of the stair case that leads to the temple's door there is a huge statue of lord Buddha made of black colored stones. 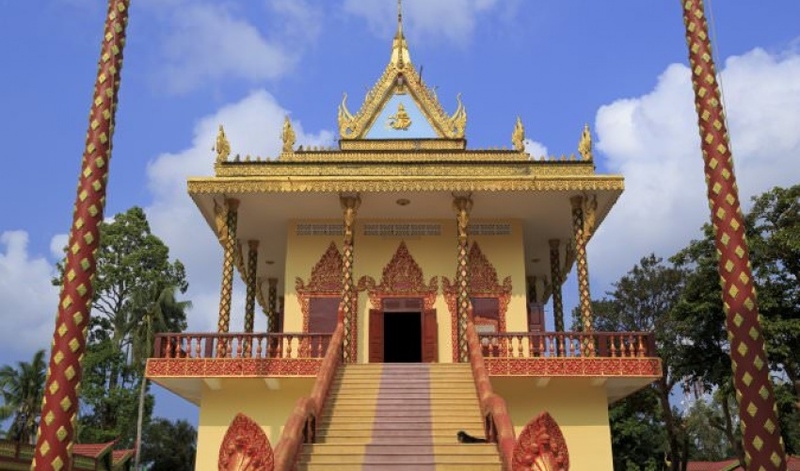 As you climb down the Sihanoukville mountain pay a visit to Wat Kraom, also known as "Lower Wat". 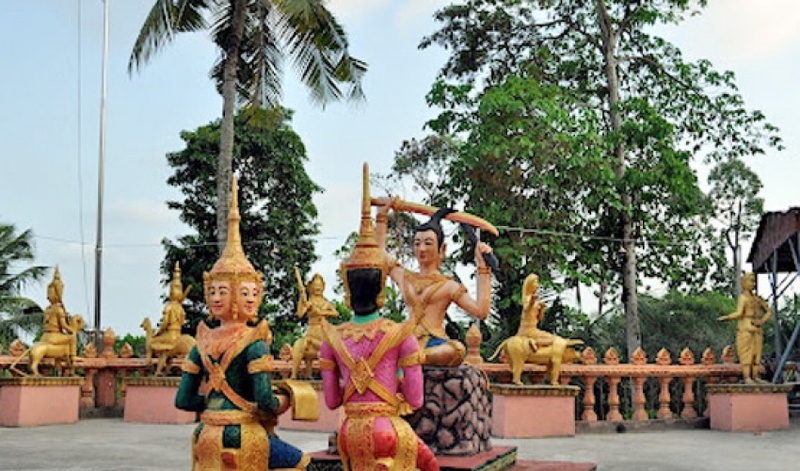 The wat is located along Independence Beach right at the foot of SihanoukVille Mountain. Wat Kraom is located amidst the large landscaped forest. 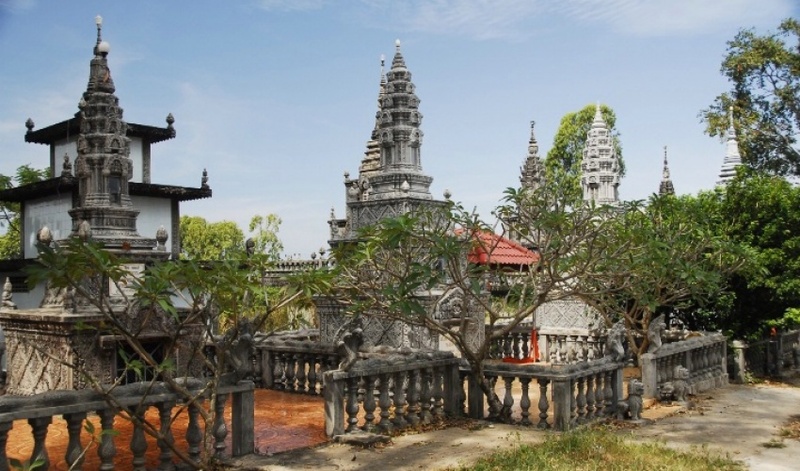 You can get a panoramic view of which from Wat Leu, Sihanoukville. 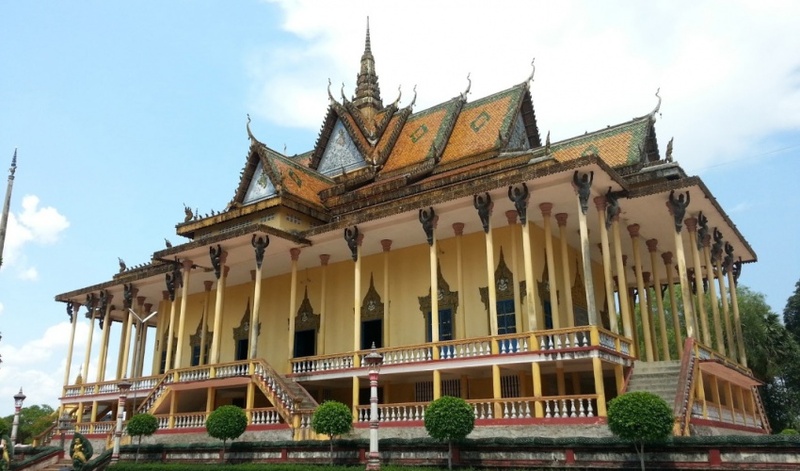 Wat Leu is also ideal for photography. The tranquility and sacredness of the place attracts the travelers as well as those who are in search of peace. 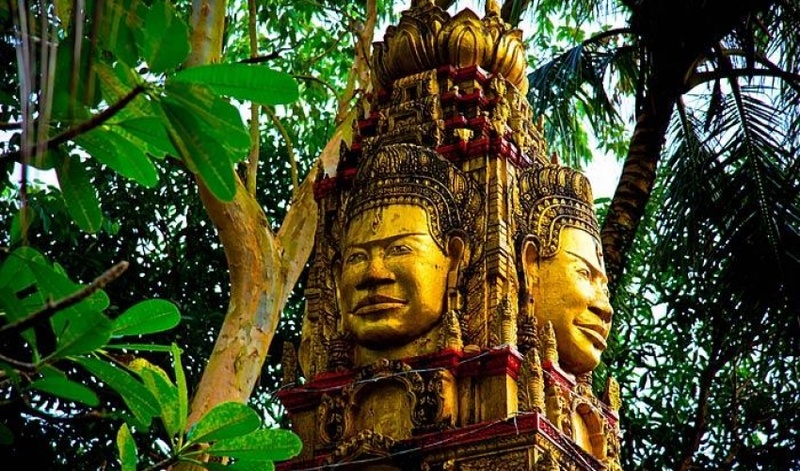 Apart from Wat Leu, Sihanoukville and Wat Kraom, tourists can also pay visits to Wat Otres, located behind Otres Beach and the 2 wats in Ream National Park. The Outer Wat is situated on the Road number 4 to Phnom Penh and the Inner Wat is located amidst the forest in Ream National Park.